Arrive at your sporting event in style, relaxed and ready for the match. Then depart victorious (hopefully) and continue your nights celebrations. Sydney hosts many famous sporting events. From weekly club matches to international championships there are various sporting events occurring week to week. As a sports fan, the best way to show support for your team or sports star is to attend the sporting event in person and cheer them on. How you choose to travel to and from a sporting event is totally up to you. Public transport, taxis and car-pooling are a few of the most common methods people choose and each of them have their pros and cons. However some occasions call for a more luxurious and stylish mode of transport. Choose our private chauffeured limousine service for an unmatched mode of transport that far exceeds any other means. Book through us then sit back and relax while you are treated with the utmost respect from our experienced chauffeurs. Get pampered with star treatment and enjoy the creature comforts of our luxury limousines as you are put at ease. Even if you encounter traffic on your journey to the sporting event you won’t have to worry about it. Our stretch limos and stretch Hummers have plenty of features to keep you entertained. DVD players, large LCD screens and bar facilities along with other state of the art technology allow you to enjoy every minute travelling in our vehicles. After your very comfortable and exciting ride you will then arrive to the venue in true style and receive instant respect from onlookers. When you ride with us it will be hard to go back to any other means of transport for your next sporting event. There are so many sporting events that you may consider using our services for. Weekly matches, Charity events, Special Cups, Championships, Grand Finals and Award Nights are but a few. With high profile sports such as Horse Racing, Golf, Tennis, Cricket, Rugby League, Rugby Union, AFL, Soccer, Motor Racing, Yacht Racing, Polo and various others, there are always occasions when our services are a must. Getting a group together to watch a game in a corporate box is a prestigious occasion so why not arrange an equally impressive mode of transport to and from the stadium? There are many stadiums and sporting venues across Sydney where sporting events are held. Wherever your next sporting event is held you can rely on us to get you to and from the location on time and refreshed. Sydney is home to many passionate sports fans. 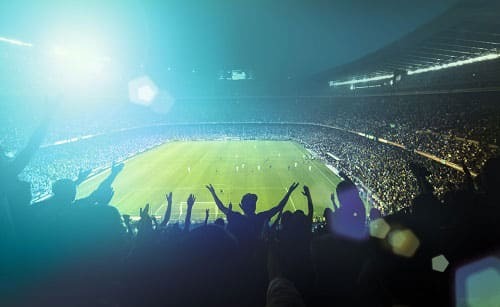 Whether it be a simple local match or an extravagant international championship you will always find committed fans supporting their team and sports stars. Turn up to your next sporting event in style. Spoil yourself or join forces with fellow supporters to enjoy our luxurious chauffeured limousine service. The game or match may be a big event or maybe there is a more personal reason for you when booking with us such as a birthday or anniversary. Either way when travel with us you will have an unforgettable experience. Make your next sporting event a truly memorable one with our chauffeured limousine service. Choose from executive sedans, stretch limousines or stretch Hummers. We can drop off and pick to make your transport for the event very simple.